“Hank, you are supposed to speak at the Juneteenth Celebration.” It was my wife, Faya Rose Toure. “When?” I asked. “At 6,” she said. It was 5 minutes to 6:00 p.m. at that very moment. “Where?” I asked. “The Bridge Crossing Theater,” she replied. I did not complain. I just got in my car and drove across the Edmund Pettus Bridge on June 19, 2017. I spoke about Juneteenth from previously acquired knowledge. I want to share with you some of what I tried to say. Juneteenth celebrates the end of slavery in these United States of America. It originated on June 19, 1865 in Galveston, Texas when General Gordon Granger formally announced to enslaved persons that slavery was over. There was a great celebration which lasted for days. Juneteenth has slowly spread to limited pockets in other states. To understand why there was such a celebration, we must explore slavery itself. To understand why other dates were not chosen to celebrate the end of slavery, we must understand how slavery ended. To understand why so few celebrate the end of slavery, we must understand what happened after slavery. Last month, the Trump administration took two significant actions to curtail women’s access to reproductive health care. On May 4, the president signed an executive order that expands the power of religious refusals in denying access to health care. The order limits the actions that the government can take against individuals and organizations who assert religious beliefs as a reason to deny their employees health care coverage—namely, contraceptive coverage. The order also gives Attorney General Jeff Sessions, a longtime foe of progressive efforts to promote equality and pursue robust civil rights enforcement, broad authority to issue guidance interpreting religious liberty into federal law. In Alabama politics, many times appointments to political offices filled by an acting governor have an adverse effect on that appointee if and when they seek election to that office for a full term. Every time George Wallace appointed someone to a political post, even in the prime of his popularity and power, they invariably lost in the next election. Well, folks, ole Dr. Bentley ain’t George Wallace, and his appointment of Luther Strange to the Senate seat vacated by Jeff Sessions may come back to haunt Big Luther. His appointment is even more problematic due to the appearance of collusion surrounding the appointment. The stain of the Bentley appointment hovers over Big Luther’s tall head in Washington. President Trump has reminded us of how the U.S. government destroyed the liberty of the American people in the name of fighting tyranny abroad. Exercising the same dictatorial method that his predecessors have employed — executive decrees — he has made it illegal again for most Americans to travel to Cuba and spend money there. Trump’s justification? The communist regime in Cuba is tyrannical and engages in human-rights abuses. Think about that for a moment: A foreign regime is tyrannical and so what does a U.S. president do? Through a decree-law, he imposes his own tyranny on his own citizenry by punishing Americans who travel to Cuba or do business there. Recently, free speech has been winning…even when it hurts, as surely it sometimes does. Last week, the U.S. Supreme Court said a Seattle rock band called “The Slants” had a right to register its name over the objections of the Patent and Trademark Office. When my mother was diagnosed with Alzheimer’s disease in 2007, she asked me to promise I’d never move her into a nursing facility. I promised, although I wasn’t sure how I’d keep my commitment. I pulled out of a four-book editing contract and moved in with her. I learned from a social worker that I could receive 20 hours a week of help from home health aides, as well as SNAP benefits and cash assistance to help compensate for my decreased work income. It was enough for us to get by. About a month after I moved in with her, we returned from grocery shopping to find a state trooper standing outside of our front door. He handed me a court summons: My sister had sued me for custody of our mother. She wanted to place her in a care facility. I fight for public education. I understand how public education opens doors for so many, from the powerfully privileged to the penniless poor. I know from personal experience. My life is a living example. That’s why I fight for public education. My father was unable to obtain an education. He did not complete first grade. My mother had to sign his name for him. If she was not present, he marked an “X” for a signature. My father was a very smart man, but he was unable to obtain an education. The doors of education were closed to him. As a result, he was economically limited for the rest of his life. The federal courts have proven that they can effectively serve as a check on the Trump administration’s violations of the Constitution, even in the face of President Donald Trump’s attacks on judges. But that may not be true for much longer if the president is allowed to fill a record number of empty seats on the federal courts with judges who will rubber-stamp his agenda. The administration has asked the U.S. Supreme Court to overturn two federal appeals courts’ rulings to strike down the president’s travel ban blocking entry of individuals from six Muslim-majority countries. Both courts, one based in Virginia and the other in California, found that the ban targeted a certain religion, citing Trump’s repeated pledges to bar Muslims from entering the United States. Another federal court recently ruled that the administration’s executive order targeting sanctuary cities is unconstitutional because the administration cannot unilaterally withhold funding that Congress has appropriated. The much-anticipated 2018 election contests have been pushed back by about three months due to the unanticipated race for Jeff Sessions’ Senate seat. This ongoing contest will dominate the news through late September. It was previously thought that June 6th would be the opening bell since fundraising for next year’s June 5 primary could begin at that time. However, the bell will probably start chiming in full force by Labor Day. Last week Axios reported that the emerging Senate bill to repeal the Affordable Care Act (ACA) will allow states to waive coverage of essential health benefits for small employer and individually purchased plans. In waiver states, this cut in benefits would be catastrophic for people who are sick or have a pre-existing condition and need prescription drugs, treatment for opioid addiction, or other services that could be excluded. But the waivers would have a much broader impact, affecting millions of workers with employer coverage in every state—even nonwaiver states. As The Wall Street Journal reported, the waivers of essential health benefits would also eviscerate important financial protections that apply to large employer plans. Kansas Secretary of State Kris Kobach has long had an appetite for nativist, anti-immigrant thinking. It led him to work as the legal counsel to a hate group. It led him to become the architect behind harsh anti-immigrant laws. And, recently, it led him to champion an anti-voter fraud effort at a time when restrictive voting laws frequently disenfranchise minority voters. Kobach began removing people from his state’s voter rolls in 2015, making anyone who did not provide proof of citizenship within 90 days ineligible to vote. The Trump administration recently released a paid parental leave plan in its fiscal year 2018 budget proposal. The plan has the stated goal of offering eligible workers six weeks of paid leave for the birth or adoption of a new child. The Trump proposal relies on the existing federal-state unemployment insurance (UI) system to provide the parental leave benefit. However, there are many outstanding questions and details about how this program would work and who would benefit from it. Last week, Ivanka Trump indicated that the plan is merely a jumping-off point and that she is soliciting feedback. With this in mind, here are five questions that the Trump administration needs to answer on its proposed parental leave plan. It was a moment of candor from Trump that earned him nothing but jeers and scorn from cable news pundits and social media. Most of us don’t know how our health insurance works, the price doctors charge for basic services, or if better healthcare options exist. Even for the President, the myriad complexities of national healthcare policy are overwhelming. A state law blocking Alabama cities from raising their minimum wage discriminates against black low-wage workers by preserving the racial pay gap – evidence that was not considered when a federal court dismissed a lawsuit challenging the law, according to an amicus brief filed by the Southern Poverty Law Center and the Partnership for Working Families. The friend-of-the-court brief, filed in the 11th Circuit Court of Appeals this week, outlines the racial pay gap in low-wage occupations across the state – such as a nearly 20 percent pay disparity in the food service industry – that could be reduced by allowing cities to raise their minimum wage. I want to follow up on Sketches #1565 concerning our trip to Germany. In that Sketches, I shared a lot about the process of the trip but also a taste of the substance. Process is important, but substance is more important. We learned much about people, places, institutions, and relationships. We also learned profound lessons. The lessons are what I want to share with you in this Sketches. The first lesson involves what can happen in education when business, labor and government work together. The German education system provides a widespread apprentice program. Beginning in the equivalent of our ninth grade, most students participate in the apprentice programs for three years. They attend classes part-time and work part-time. This is a uniquely productively approach. Steve Flowers: Inside the Statehouse: Who really has a shot at becoming Alabama's next CEO? Those of us who follow Alabama politics had circled June 6, 2017 as the beginning of the 2018 governor’s race. However, we did not foresee Donald Trump’s election as President in November and the subsequent appointment of our U.S. Senator - Jeff Sessions - as his Attorney General, thus, opening a U. S. Senate seat and causing the need for an unanticipated special election for the open Senate seat this year. Therefore, the race for Sessions’ Senate seat will dominate the political news for at least the next three months. This Senate seat race has pushed back the timetable for gubernatorial aspirants by about three months. The thoroughbreds who might enter the Derby for the Brass Ring of Alabama Politics probably have the luxury of waiting until Labor Day or maybe after the September 26 GOP runoff for U.S. Senator. Released in May, President Donald Trump’s fiscal year 2018 defense budget increases funding for the U.S. Department of Defense while cutting funding for other critical programs in the discretionary budget. In analyzing whether the proposed budget truly enhances national security, however, it is important to keep the following three ideas in mind. In 2008, when President George W. Bush issued the traditional proclamation declaring June to be National Ocean Month, it was peppered with platitudes about America’s “precious waters” and included a shout out to the newly minted Papahānaumokuākea Marine National Monument he had established two years earlier. The proclamation President Donald J. Trump issued on May 31 of this year—as Toronto Star Washington correspondent Daniel Dale pointed out on Twitter—took rather a different tone. Trump’s language kicks off by mentioning the “mighty oceans and their extraordinary resources.” It then bemoans how “underutilized” these resources are and how much more money the ocean could generate from energy extraction and increased fisheries production. Twitter was an invaluable tool for candidate Donald Trump, allowing him to bypass traditional media channels and connect with a passionate base of followers. But as president, Donald Trump’s frequent use of Twitter is turning out to be a major liability for him. President Trump’s tweets last week about his controversial “travel ban” executive order may end up undermining that executive order in court. To recap: Back in January, the president signed the original version, which banned travelers from seven Muslim-majority countries from entering the United States, but gave priority to refugee claims made by individuals whose religion “is a minority religion in the individual’s country of nationality.” This meant that the executive order effectively favored non-Muslim refugees over Muslim refugees, which many legal experts saw as a violation of the First Amendment. Freedom of religion — specifically the Establishment Clause — prohibits the government from favoring some religious groups over others. Now more than ever, we need leaders – especially in the Alabama Senate where the lottery died last year – who will make the lottery a priority. The Alabama Legislature is quickly running out of excuses for failing to let the people vote on a state lottery. Last summer, Gov. Robert Bentley called a special session specifically for the purpose of passing a lottery. After passing out of the state Senate, the lottery went to the House where it passed on its second vote after a few changes had been made. Those changes meant the bill had to go back to the Senate, and the senators didn’t agree with the changes the House had made. So, the lottery once again died without getting a chance to go before the people. Are Trump and DeVos waging a war on teachers? Throughout his campaign and time in office, President Donald Trump has touted being a “tremendous believer in education.” And Secretary of Education Betsy DeVos has repeatedly called for “equal opportunity for all kids.” However, neither Trump nor DeVos has demonstrated any interest in supporting or leveraging the most critical resource for improving student achievement—teachers. Indeed, research shows that well-supported, highly skilled educators achieve an average of 1.5 years of academic growth among their students. In the most recent budget proposal, however, President Trump and Secretary DeVos have decided to completely withdraw federal investment from the educator workforce. This threatens every child’s access to a quality education. Throughout their first several months on the job, Trump and DeVos have shown nothing but disrespect for teachers and the teaching profession. A former Milwaukee-based private elementary school teacher had her disability discrimination lawsuit rejected by a federal court, because of the so-called ministerial exception. This doctrine holds that government officials should not interfere with the internal affairs of religious institutions. Ostensibly, the doctrine gives churches and religious organizations religious freedom. In reality, it also leads to discrimination against employees. Since we are in the midst of an election for a U.S. Senator, let me share the story of one of the most prestigious congressional families in Alabama history. The Bankheads of Jasper would likely be the most prominent political family in Alabama political lore. More than likely there has never been a father serve as one of Americas most powerful U.S. Senators while his son, William Bankhead, served as Speaker of the U.S. House of Representatives. The founder of the famous family was John Hollis Bankhead. He was the patriarch of a family that spawned sons John H. Bankhead II; and Speaker of the U.S. House, William B. Bankhead; and daughter, state archivist, Marie Bankhead Owen; and granddaughter Tallulah Bankhead, who became a star of stage and screen. 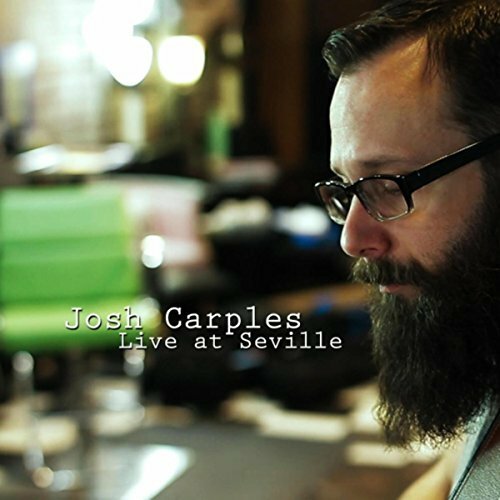 Review: Josh Carples - "Live at Seville"
If you've ever wanted to see Josh Carples naked, now's your chance! Stripped down to just his Seagull acoustic-electric, unique voice, unfiltered emotions, and honest songwriting, "Live at Seville" features the artist alone, sans audience, sharing his words and notes, and it's endearingly personal and a fulfilling experience for listeners. Filmed at Seville Beauty and Barber Shop, the EP includes five songs - including the new track, "Fake A Smile" - and the accompanying videos can be viewed for free online. It was released May 23. Although the Constitution doesn’t mention a federal budget, according to the Budget and Accounting Act of 1921, the president must annually submit a proposed federal budget to Congress for the next fiscal year by the first Monday in February. Because the government’s fiscal year runs from October 1 to September 30, the budget submitted in February is actually for the next fiscal year that begins in October. But since it is not possible for a new president, who takes office on January 20, to submit a budget within a few days of taking office, he is given extra time to submit his first budget. Last year, Allyn taught a second grade class in a high-poverty school in Saint Petersburg, Florida. The school had been in the papers for poor test results, and it was pushing to change by adding extra time for reading instruction. The school gave kids three days of physical education a week, and built five minutes into Allyn’s schedule to do “indoor recess.” But the schedule didn’t include a real recess. The moment seemed too surreal to believe. On the eve of a special election to fill Montana’s only U.S. House seat, GOP nominee Greg Gianforte was being pressed by a reporter. Ben Jacobs of The Guardian wanted his response to the Congressional Budget Office’s report showing the devastation that would be caused by the House-passed bill to repeal the Affordable Care Act. Gianforte was charged with misdemeanor assault. The next day, Montana’s voters elected him to Congress. Was there a time when people regarded social media in a wholly positive light? It’s hard to remember. The honeymoon’s been over for a while. We still recognize the benefits of social media — after all, the majority of Americans use platforms like Facebook, Twitter and Instagram on a daily basis — but when we talk about these companies, it’s usually not to laud them for bringing the world closer together. Our conversations about social media often revolve around the problems that have come with it. There are the usual laments about how these applications have ruined our ability to focus and made us all unhappier. And then there are the more serious concerns: That social media can serve as a fertile recruiting ground for terrorist organizations. That it enables, and perhaps encourages, people to broadcast themselves committing heinous acts. That it allowed for the unbridled dissemination of fake news, which may or may not have impacted the outcome of the U.S. presidential election. The broken promises in President Donald Trump’s budget, announced last week, seem to have no bounds, with cuts from Social Security to Meals on Wheels. Ultimately, his scorched-earth vision is wrong for so many Americans on so many levels. Many have already written about the numerous and devastating cuts to the safety net and to families struggling to get by. Yet this budget does not only betray struggling families. It also proposes one bad deal after another for distressed communities, struggling small businesses, and vulnerable consumers—and if adopted, it would devastate the very communities for which President Trump claims to fight. I write this letter out of reluctant hope and constant pain. I am reluctantly hopeful the perspective set forth in this letter will be heard. I am greatly pained because history tells me that it will not be heard. Still I write because the issue is both important and urgent. I am writing about the issue of monuments on public property. Some say monuments are just big statues or names on buildings, streets, roads, bridges and public places and do not really matter. Therefore, we should just leave monuments alone. I pray to differ. Monuments matter a whole lot because they impact past, present and future generations.